I love to find ways to connect to my children's hearts. I believe one of the greatest ways to connect with your children is quality time, there is nothing they want more from you then your time. I know how busy life is and I also know the guilt when I don't fit them in like I should and if we are honest mamas, we have all been there. Not enough time to read tonight. Not enough time to play right now. Not enough time to look at your schoolwork or art projects at this moment. We are human and we shouldn't beat ourselves up everytime we are busy,however we must be careful that busy doesn't become such a norm for us that we never have time to give our kids ourselves. Time is something we can't get back. 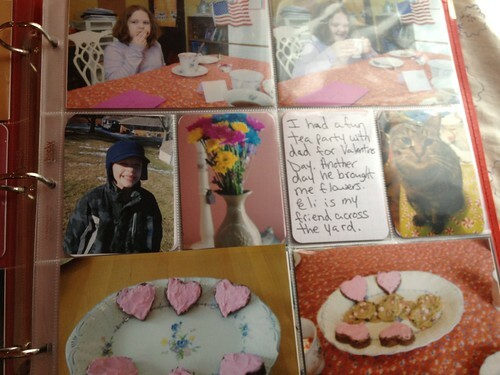 Scrapbooking/Crafts-is is really amazing how early on your children can start this hobby with you. A preschooler loves cutting and pasting and just loves being by your side. My daughter(9) and I now do Project Life by Becky Higgins together. EASY scrapbooking method and we just LOVE it! Walking or Running- This is a great hobby for boys and girls. If you have been wanting to get in shape and start walking or preparing for a run why not include your kids? I have three kids (9,10 and 14) I have made a goal of taking a walk at least 3 days a week and each day a different child goes with me. A time to have great conversation, laugh, exercise and just enjoy one another. Think of a goal that would work for your family and implement it, your kids will love it! Even a baby can be pushed in a stroller! I SO remember those days, with two 18 months apart I was pushing a double stroller often! Spiritual Journals- Making prayer books, gratitude journals, or scripture books can be a lot of fun and your child will have something in their hands to help them grow in the Lord. I have a pinterest board called Spirtual and have many ideas there. Also check out our Better Mom board because there are some fantastic ideas from all of the contributors. Dad's Hobby- If dad builds models or plays golf see if he will allow his children to come along side and learn his hobby-GREAT way to connect with dad! Cooking-Cooking with your kids can be a WONDERFUL way to connect with them, again this is an activity where you talk, listen to praise music together, and learn something together. So much FUN! Physical Activities-Some families are real outdoorsmen. They love to camp, hike, and travel. Many love to play a sport together. GREAT way to bond with your children! SMASH books. This one is new to us and we are LOVING it. You can do anything your want in your smash book. I have been putting my special notes from friends and loved ones, cards from my husband, just things that I cherish. 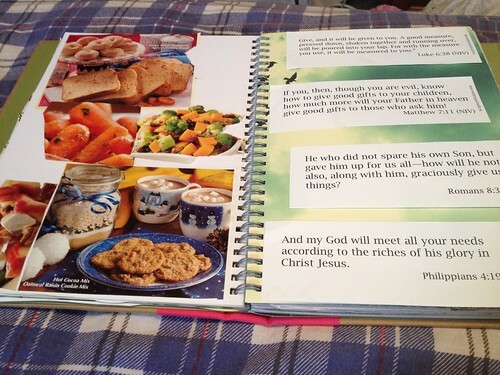 My daughter has been doing scripture verses, her favorite dolls and recipes and more. My son is starting one with hot rod cars and pictures from car shows his dad takes him to. He loves to collect rocks, marbles, and gems and he has pictures of them. Check out this smash video to see what they are about. All this takes is you and them sitting at a table and smashing things in your books that you love. Total fun and a great way to spend with your kids. Remember you don't have to be creative to make memories! See pic at the top for my page in my daughters book. Hobbies can help you connect with your kids on a deeper level. You can have some of the best talks as a family and really get to know your children better. When your children struggle with hard days, and oh they will you want to be the one they come to. When you invest your time and energy into them, they know it! What are some hobbies you do with your family? Mar 3 Comfy Pregnancy Series - Comfy Sleep & Better Mom Monday's Link-up!! Dec 7 10 Ways to Connect with your Children at Christmas Time!